Big Dipper W-200-IS, Automatic Grease Interceptor, 20 g.p.m. 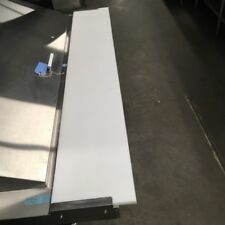 Commercial Kitchen Prep Table Wide Double Overshelf - 28" x 72" w/heat lamps! APW WYOTT - BUNN WARMER - Tested & Working!! True TFP-48-18M - Sandwhich Prep Table - NICE! Cardinal 1005 Arcoroc Islande 2 oz Cordial Glass - 48/cs - NEW!!! 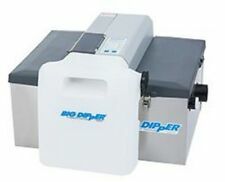 Big Dipper W-500-IS, Automatic Grease Interceptor, 50 g.p.m. PIZZA PREP - Polyethylene CUTTING BOARD - 19-1/2" X 60-1/4" X 1/2" - SHIPS FREE! Southbend SLGS/12SC Full Size Natural Gas Convection Oven - CLEAN & WORKING!! Rotisol GF1375-8G-LUX Grand Flame Rotisserie with Vertical Spit Bar!